Reminiscent of the picnic tables at the park, the Cuomo Picnic Table by Zuo gives you a nostalgic design with a modern upgrade. 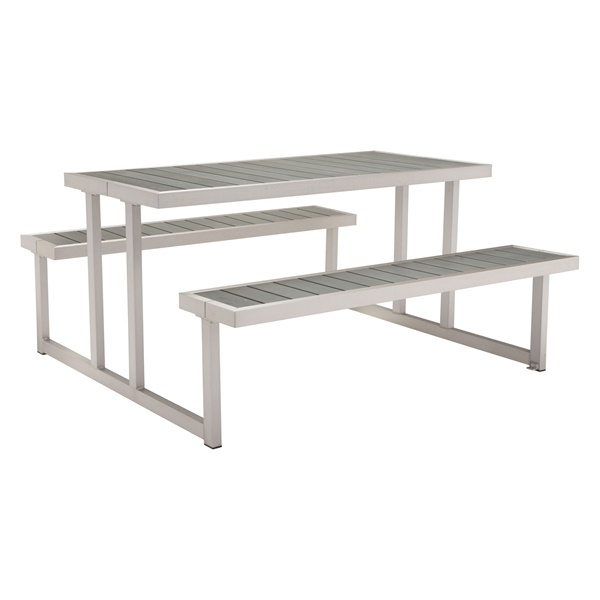 Its strong, galvanized aluminum frame is weather resistant and sturdy while its faux wood slatted top gives you ample surface space to accomodate your spread when you have guests over. Its brushed finish will bring modern style to your outdoor space.